The CHP is looking for more victims. 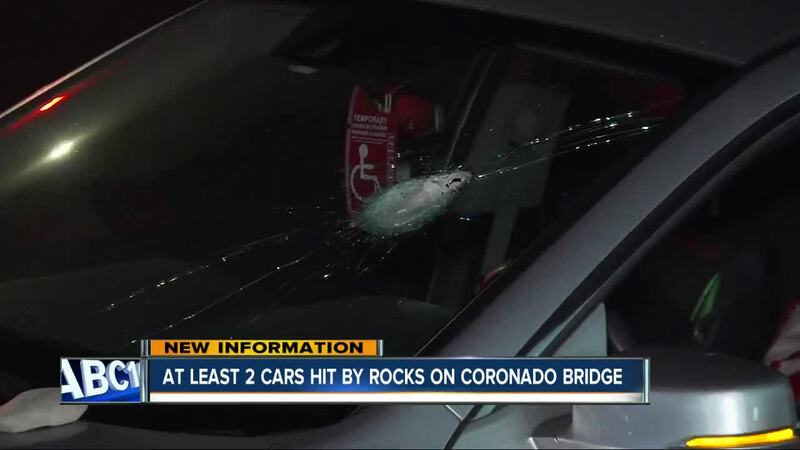 SAN DIEGO, California — A barrage of rocks came down on as many as seven cars on the Coronado Bridge since Friday, damaging the vehicles and sending one driver to the hospital with minor injuries. 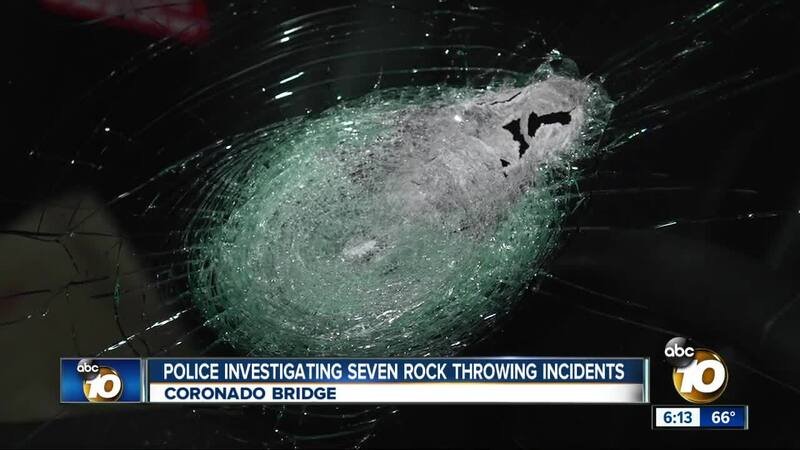 KGTV television station learned a car was traveling westbound on the bridge Tuesday night when a large rock landed on his front windshield and struck the driver. The driver was transported to the hospital via ambulance after being hit in the chest, the California Highway Patrol said. At about the same time the first car was hit, motorist Antonio Escobedo was traveling on the eastbound side when his car was hit by several rocks that caused a crack on the windshield and a dent on the car’s hood. “The people that were with me in the car, we thought we were getting shot,” Escobedo said. Escobedo and his passengers were not injured in the incident. Officers said they would review footage captured by cameras on the bridge as part of their investigation. CHP investigators are asking any other drivers whose cars have been hit by rocks to contact them at (619) 220-5492.